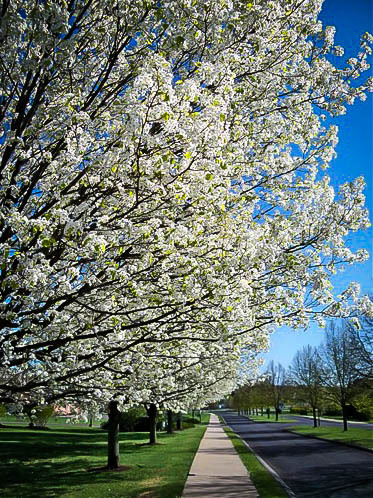 If you want to create an impressive effect in your garden, especially in spring, it’s hard to beat flowering trees. Imposing and colorful, these can be truly spectacular centerpieces and there’s a wide range to choose from as well. Whatever your local climate, the size of your garden or the type of soil you have to work with there’s almost certain to be a flowering tree that will suit your conditions and wow you with its looks. Popular species come from all over the world, with many favorites coming from China and elsewhere in the Far East. Native species are seeing a strong revival recently, though, and they have a lot to offer. 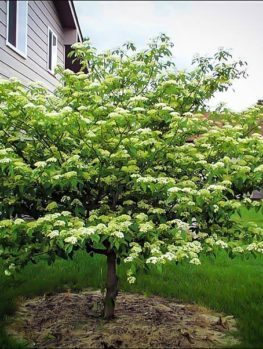 They form a link between your garden and the natural landscape, and if you choose a flowering dogwood it will look great too. 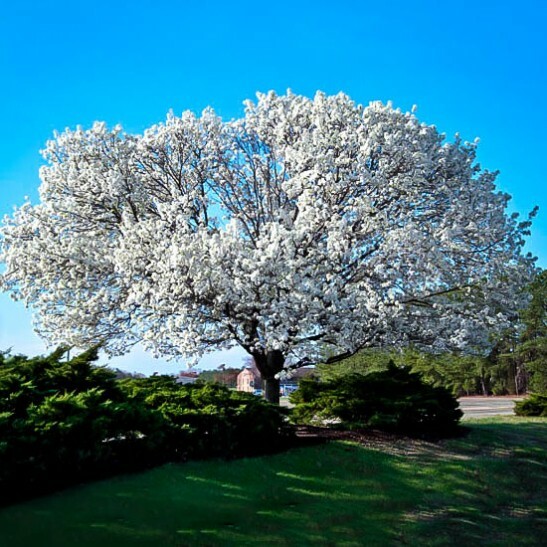 Large enough to be imposing yet still suitable for most gardens, this attractive tree will reward you every spring with a bold display of white flowers. 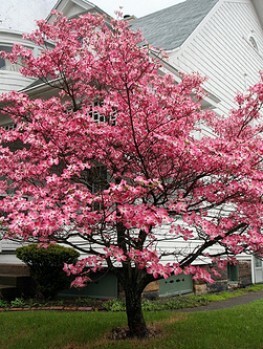 Almost every successful garden layout includes at least one flowering tree. The appearance of your garden in spring will set the tone for the rest of the year, and the explosion of color from a well selected tree is a spectacular way to start the warmer part of the year. Unlike many smaller shrubs, which don’t contribute much to your garden’s looks once their blooms have faded, a tree will continue to attract attention thanks to its size and form; they truly are some of the best additions you can make and there’s an immense range to choose from, too. Currently native species are becoming more popular, for a variety of reasons. Imported species can occasionally struggle with the unfamiliar climate and also tend to be more vulnerable to native pests and diseases. Native trees are also a natural part of the landscape; they often provide food or shelter for local wildlife, and they form a link between your garden and the land it belongs to. 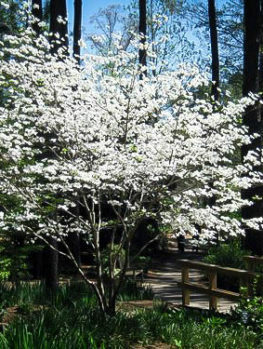 The good news is many American species make ideal choices for your garden, and the flowering Dogwood is one of them. 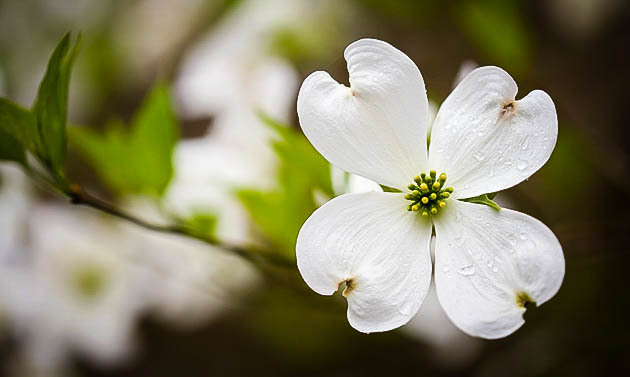 As you would expect from its native range, the Dogwood is quite tolerant geographically; it can be successfully grown almost anywhere in USDA plant hardiness zones 5 to 9. It might struggle in the coldest parts of the Midwest but apart from that should do well almost anywhere. Ideally you should plant it in organically rich, acidic soil. It does need the ground to be moist but well drained, and will do best in part shade. To give the roots some extra protection a two to four inch layer of organic mulch is a good idea, especially in warm summer weather; keep the mulch lightly dampened to cool the root zone and help retain moisture. 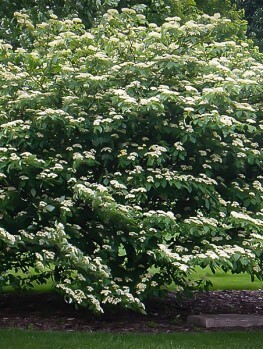 Apart from making sure the soil around it doesn’t dry out, the flowering Dogwood doesn’t need very much maintenance. As a native species it’s a popular choice for naturalized gardens where pruning isn’t common. Its natural shape is also attractive enough that it rarely needs to be modified. If you do need to prune it, however, it’s important to do it at the right time. Cutting it back in spring can allow entry to boring insects, while doing it in spring and summer will cause serious bleeding of sap. Instead wait until the tree goes dormant in late fall or early winter; this will also ensure the best display of flowers. 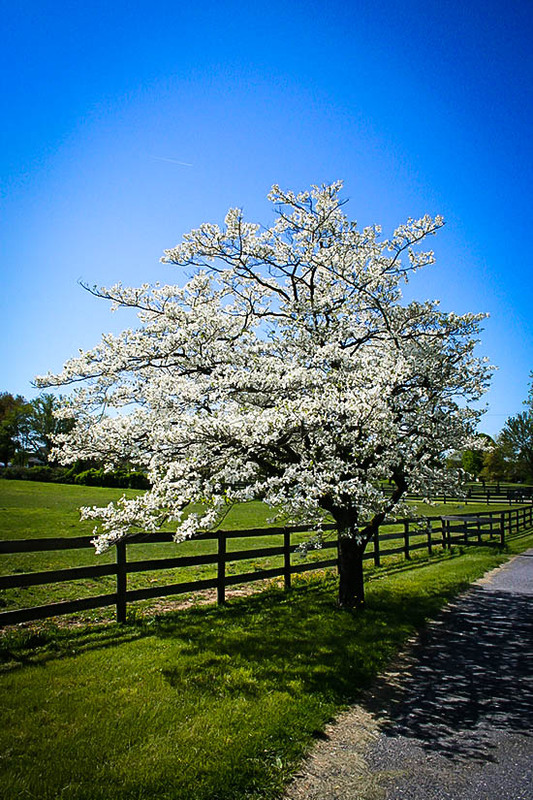 Dogwoods can be vulnerable to stress if the weather conditions are unsuitable, and that makes them susceptible to pests and disease. Common insect infestations include borers, leaf miners and scale; leaf spot, mildew, canker, root rot and leaf and twig blights can also be issues. The worst problem with this species, however, is Dogwood Anthracnose. This disease is common in some parts of the eastern USA, and if your area is affected you should think seriously before planting a Dogwood. Once infected a tree’s chances of survival are poor, so opting for a different species is probably the safest option. 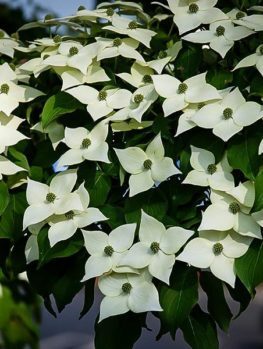 There are several species of Dogwood but the most popular with gardeners is the White Flowering Dogwood (Cornus florida). This tree grows wild throughout much of eastern North America, from southern Ontario to Mexico. It’s a relatively small tree, usually reaching anywhere between 15 and 30 feet high when cultivated. 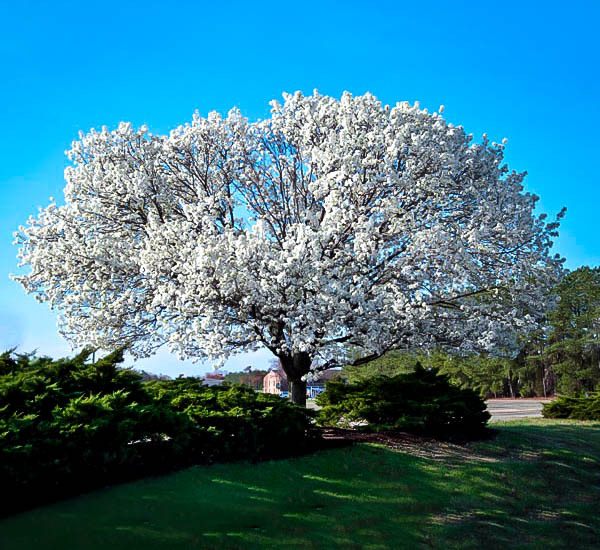 It has a low-branching form, usually taking a flattened pyramid shape, and many botanists believe it’s the most beautiful of all the North American flowering trees. It’s certainly distinctive enough to have been made the state tree of Missouri and Virginia. Its leaves are oval and dark green, turning red in fall. 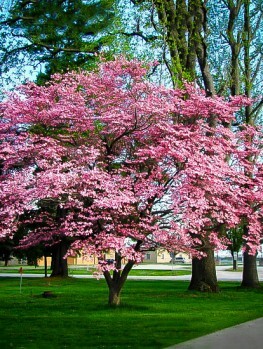 Its best show is in spring though; in April its branches will bloom with hundreds of showy flowers. In fact the actual flowers are tiny and grow in clusters, but each cluster is ringed by four white, petal-like bracts. In any case the effect is spectacular. Later in summer the tree will produce a crop of small red fruit; these are inedible to humans, but form a valuable fall and winter food source for many birds. 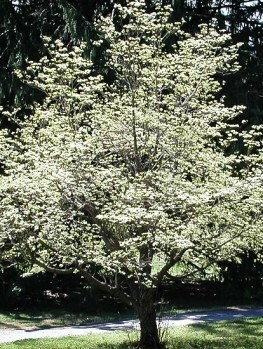 If you’re not in an Anthracnose-affected area, though, the flowering Dogwood is a great choice for most gardens. Its size makes it an ideal specimen plant for a smaller garden, where it won’t overshadow everything else. On a larger property several can be planted to form a natural-looking feature, and it’s also ideal for planting around patios – its low-branching habit means it gives quite good screening from wind and view, while also creating an attractive backdrop to your outdoor space. If you like to attract native birds to your garden the Dogwood is a great asset, and its fruit will be a real benefit to them as winter approaches. Overall this is a very attractive and useful tree, and we can’t recommend it strongly enough.